What's greater, pen or the sword? 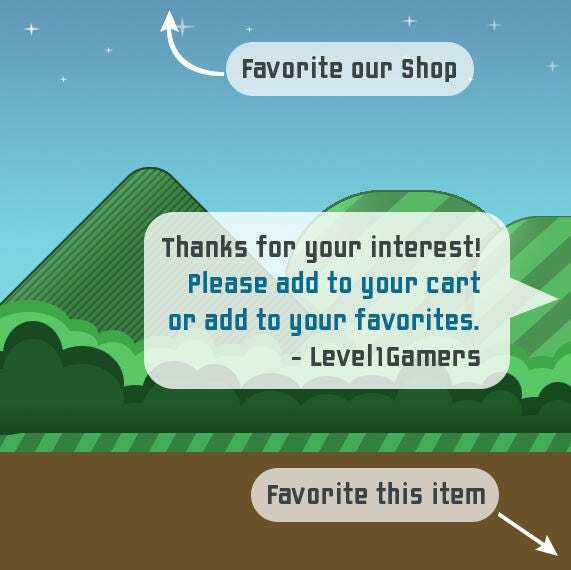 Who cares I'd rather have a game controller! 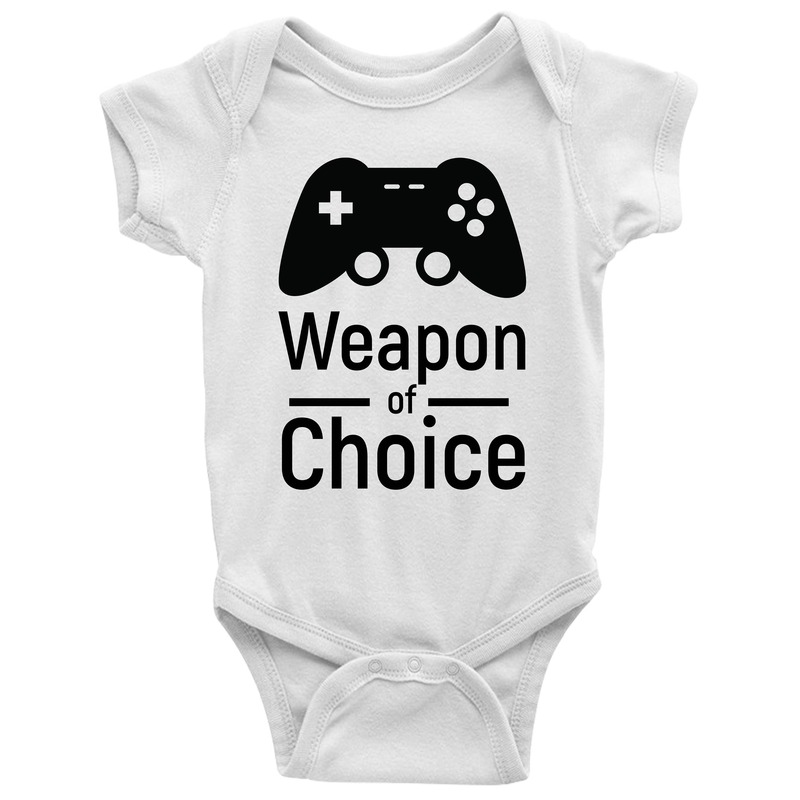 This fun gamer ONESIE is a great gift for your little gamer. 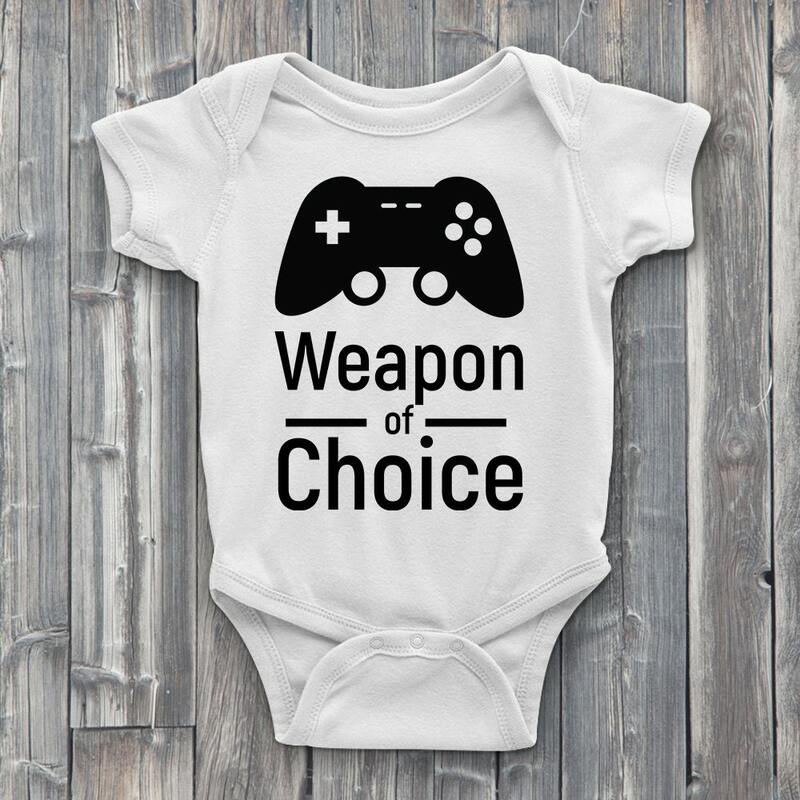 Awesome for gamer babies and their gamer parents. 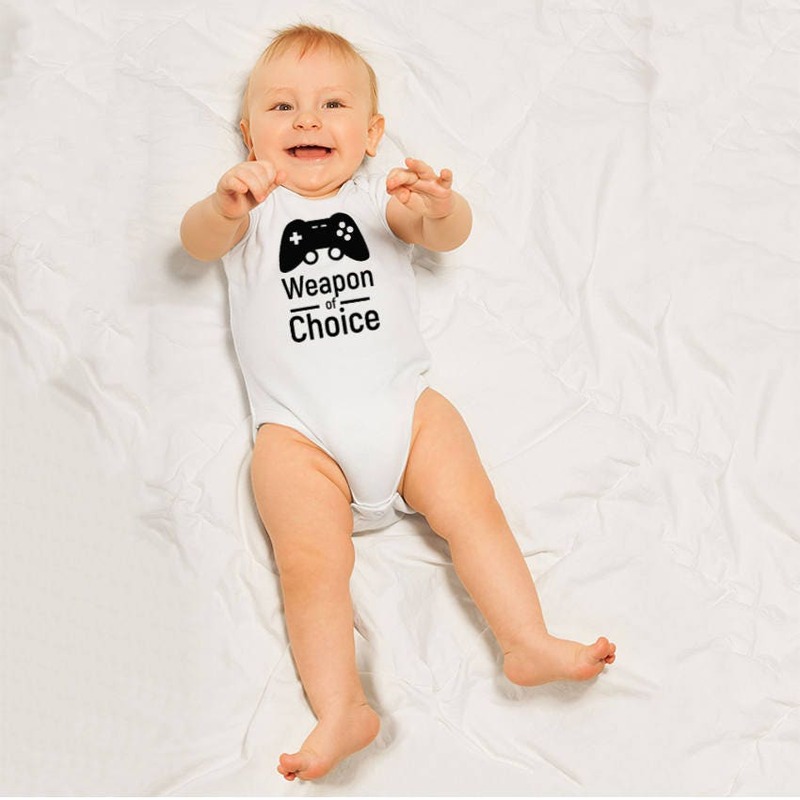 Each Weapon of Choice baby ONESIE is hand pressed with high quality heat transfer vinyl onto 100% soft cotton fabric. Available for both boys and girls, in many sizes. 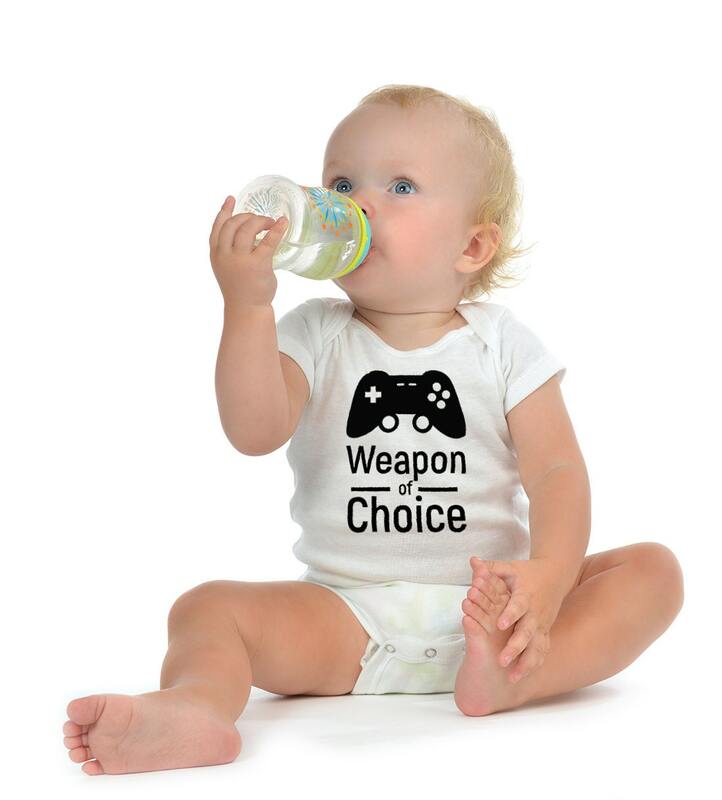 Get your gaming ONESIE today!